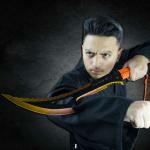 Like a cleansing fire, the Inferno Hook Blade Sword will restore balance in your life. 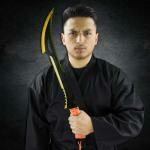 This yellow, black, and orange sword is 24 inches long and has a blade as complex and chaotic as fire itself. 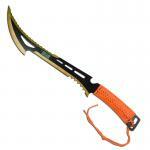 The 17" blade has a straight edge with a hook in the front, as well as a small serrated edge near the handle. The spine of the blade also has a serrated edge, perfect for ripping through things. 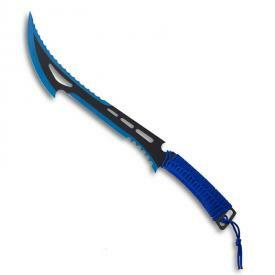 The flame sword is made from stainless steel and, because it's made from a single piece of metal, is full tang. The handle is wrapped with orange nylon cord, giving you both comfort and a clear place to grab when things start to get dicey. Weighing only a pound, the inferno sword is easy to carry. The handy nylon carrying sheath, which has a shoulder strap and zipper, protects the hook full tang sword from the elements and allows you to carry your weapon without being overencumbered. 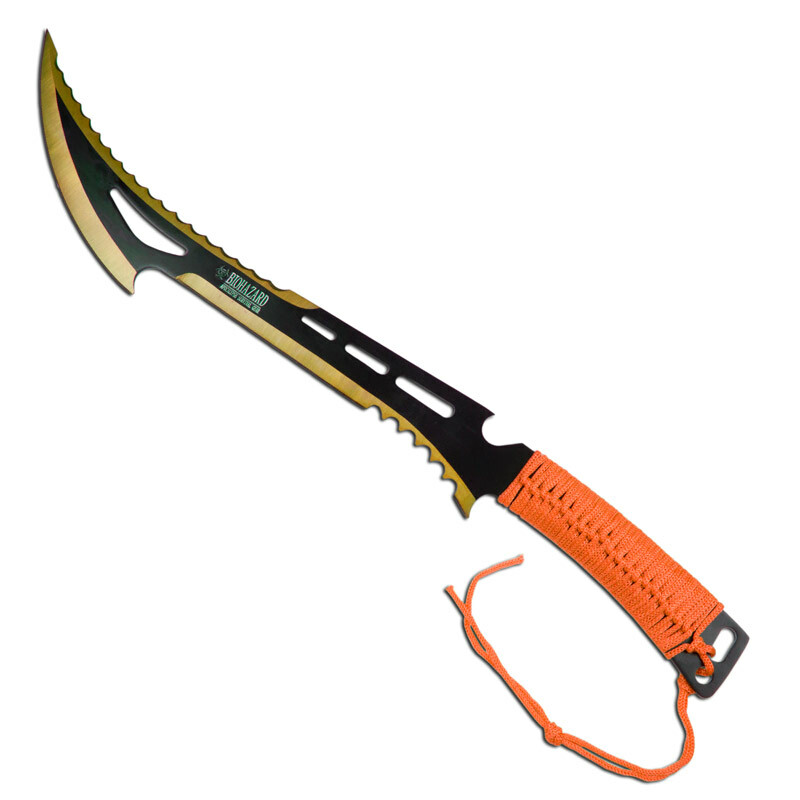 This sword is perfect for weapons collectors who like a golden sheen to their swords, as well as anyone who wants to chop thingsin style.